From the Drum Corps World archive. 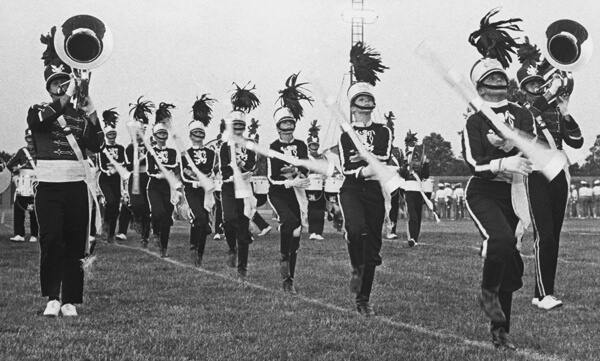 In 1981 the Boston Crusaders took to the field with a production featuring a wide-variety of musical styles including pieces by Modest Mussorgsky, Chick Corea and the Manhattan Transfer. Rounding out the program was the corps' trademark, "Conquest" from the score of the swashbuckling film "Captain from Castille." The piece by Academy Award-winning composer Alfred Newman, has been a staple in the corps' programming for decades.